If you’ve been following my blog since I started it last April, you may well recognise this card. 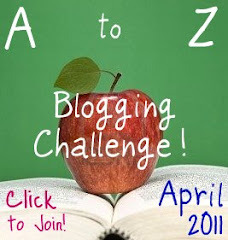 I blogged about it in my A-Z Challenge post ‘U is for…’ which you can read here. It is made from the remnants of a box of Marks & Sparks Christmas biscuits, received (with thanks!) last year. Once the biscuits were a distant memory, I decided that the box was too pretty to just recycle, so I chose to up-cycle it instead – ie cut it up and make it into a card. The only thing added to the biscuit box on this card is some glitter glue, peel-off borders around the spotty strip at the bottom, and two adhesive gems. It just goes to show that inspiration (and crafty goodies!) can come from any number of sources. The most important step first – eat the biscuits! 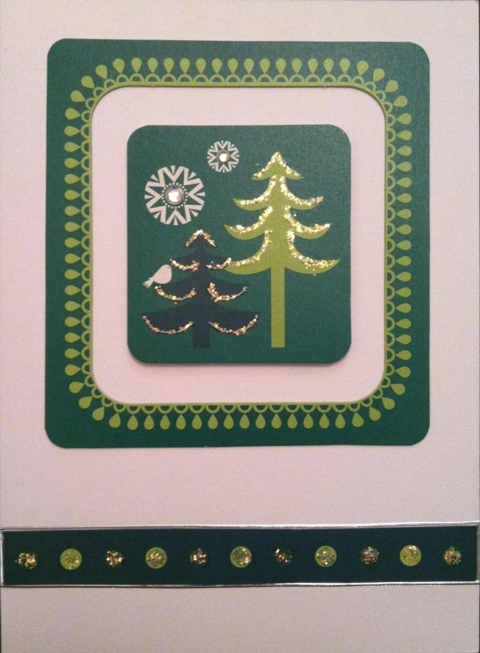 Cut up the box so that you have a border, an interesting topper that fits inside the border, and narrow strip. Use a corner rounder punch to round off the edges of the topper and the border. 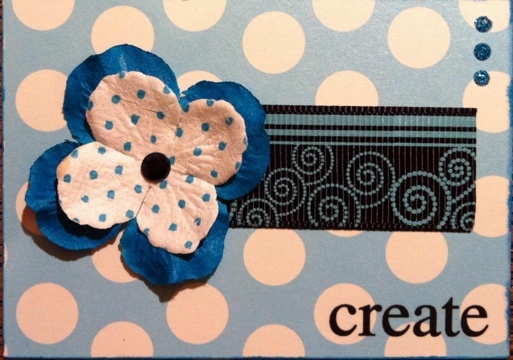 Glue the border to the upper section of your card blank so that you have even spacing around the top and sides. Fix the topper inside this border using adhesive foam pads. Use glue or double sided tape to fix the strip to the lower half of the card, and edge with narrow silver border peel-offs. Accent the topper with adhesive gems and iridescent glitter glue. I also glitter glued the spots on the strip at the bottom. Ephemera is defined as something that is used or enjoyed for a short time only, or something that was only expected to have short term usefulness, for example a train ticket, or theatre programme. I regard using ephemera in my craft as a form of recycling – often ephemera is something that most people would throw away, but a hoarder like me would keep! I’ve recently made a couple of ATCs using *my* definition of ephemera. Someone sent me a gorgeous notecard in a beautiful matching envelope. I’ve kept the notecad, but thought that the envelope was just too pretty to just throw away. So I cut it up, and used it on an ATC. The backing paper is the design from the inside of the envelope, and the little mock-stamps and images of France decorated the outside of it. I had fairly recently received a page from an old French dictionary in a swap, so I found a suitable word, cut it out, mounted it on a bit of ribbon, and arranged all the other bits around it. I outlined each of the images and also the ATC itself with a red pen to match the ribbon, et voila! No, this ATC was not named for when it was made, but more because this is what I require to get me through a Friday afternoon! Someone sent me some ribbon in a swap, which was wrapped around a piece of card from a pack of Hershey’s chocolate. 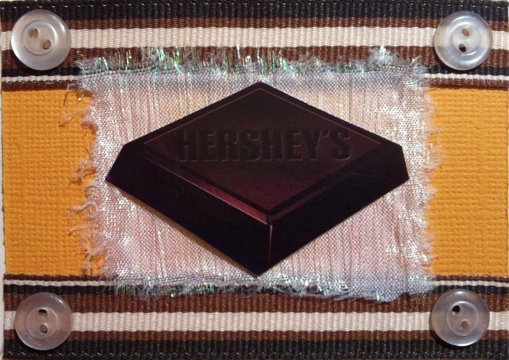 I just couldn’t resist cutting out the square of chocolate from the packaging and using it on an ATC! The lovely chocolate brown striped ribbon top and bottom works perfectly with the main focus, and I added the buttons in the corners just to finish it off. When you start crafting, especially making ATCs which are so tiny, but can be created from anything and everything, you really start to look at the things around you differently. I love being able to use ‘trash’ in my craft – you can’t get away with it as much in card making, but with ATCs there are no rules really, apart from size. Your imagination can go wild, and it’s great to see the range of crazy art your brain can come out with, if you only let it! I recently recieved some lovely ribbon flowers in a Swap-Bot swap. My swap partner said that she had made them herself, so I just *had* to find out how! I have to say, I was really impressed with how easy they are to make, and lovely they look. I thought I’d share with you how to do it. It’s also a great way of using up ribbon scraps, as you only need a few inches of ribbon depending on its width. Take approximately 4-6 inches of ribbon depending on its width and how ‘ruffled’ you want the finished flower to look. A wider ribbon will need a longer lenth. 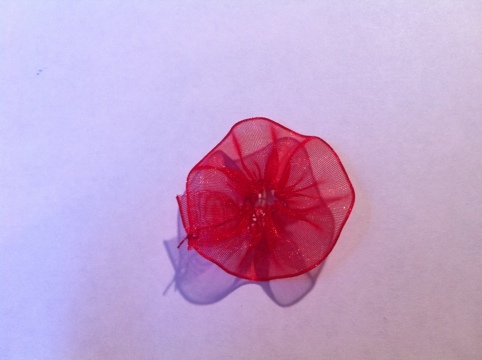 You will also need a small amount of thread in a matching colour (abouth the same length of thread as the ribbon will be ample), and a brad or button to finish the flower off. I used some leftover cross-stitch thread (this is why I keep so much ‘rubbish’!). Sew a couple of stitches into one corner of the ribbon, or be lazy like me and just tie the thread in a knot to secure it. As this will become the centre of the flower it won’t be very visible, especially if you’re using a biggish brad or button in the middle. 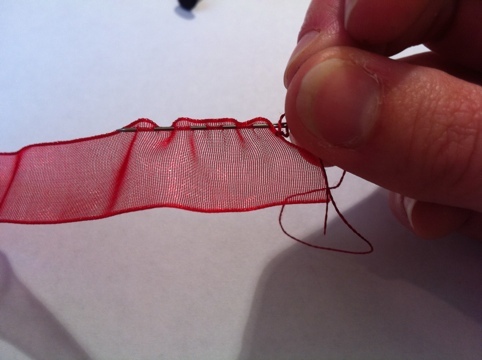 Once the thread is secure, make a running stitch along one edge of the ribbon. Bear in mind that the bigger you make the stitches, the more depth the flower will have – if you’re planning on mounting it to a card to send in the post this could well turn a ‘standard letter’ into a ‘large letter’ and cost you more to post! 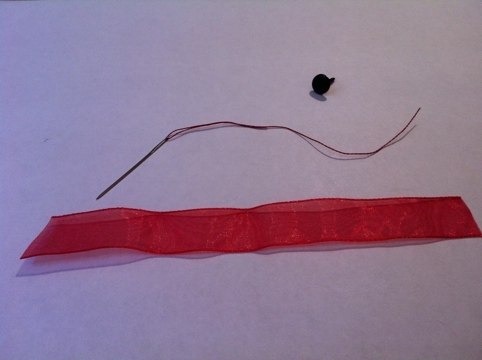 You can now either sew the two ends of the ribbon together, or use the ends of the thread and tie them together. It’s going to depend how long a piece of ribbon you used as to which option will look better. Finally, I sewed up the ribbon width, just to keep the outer edges together nicely (you can just about see this in the next picture). And that’s it! 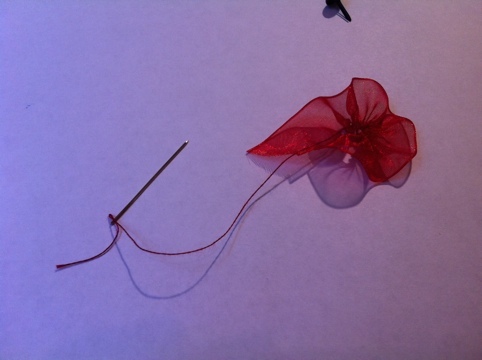 You can glue or sew a button onto the front of the flower, or use a brad through the centre to attach it to your craft. In the ATC below I used black brads through red flowers to make poppies. 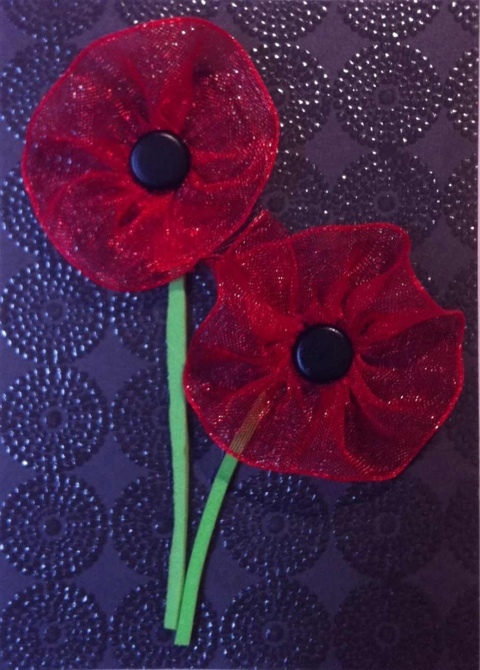 The poppy stems are made from thin slivers of leftover Funky Foam. You can also see how one flower is a bit more ruffled that the other – I obviously used a longer piece of ribbon for that one! I’m going to post a few more ribbon flower related pictures soon – I will link back here so you can see how else you can use them. Ever since I bought these ribbons in America, I have been dying to use them all together. 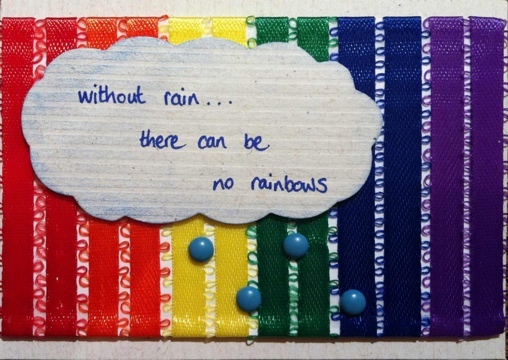 I love the quote ‘without rain there can be no rainbows’. And when you’ve got a fab ribbony rainbowy background like this, what better quote could I choose?! I used some decorative scissors to cut out the cloud (sooooo much easier than cutting out by hand! ), and handwrote the sentiment. I finished off with 4 little blue brads as raindrops. This one was made specifically for a Swap-Bot swap. I will quote the exact instructions, because they really inspired me. It was when I saw the word ‘wax’ at the end that it hit me. 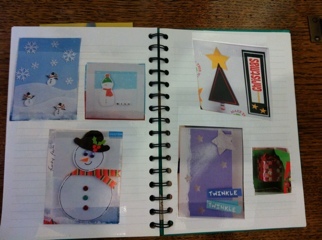 Although I really enjoy making collage ATCs, I would love to be able to make ‘traditional’ art – ie painting / drawing etc. I thought this ATC challenge gave me that opportunity. I used black ink to create the background wave effect, and over it I dropped melted wax, from birthday candles! I used yellow and blue, then filled in the gaps with clear wax from a tealight candle (I used a paintbrush for accuracy, as I found the birthday candle wax never went where I expected it to!). Then I pooled a big blob of wax three-quarters of the way up, waited for it to solidify slightly, and stamped it with a basic heart stamp. I coloured the heart using some chalk. 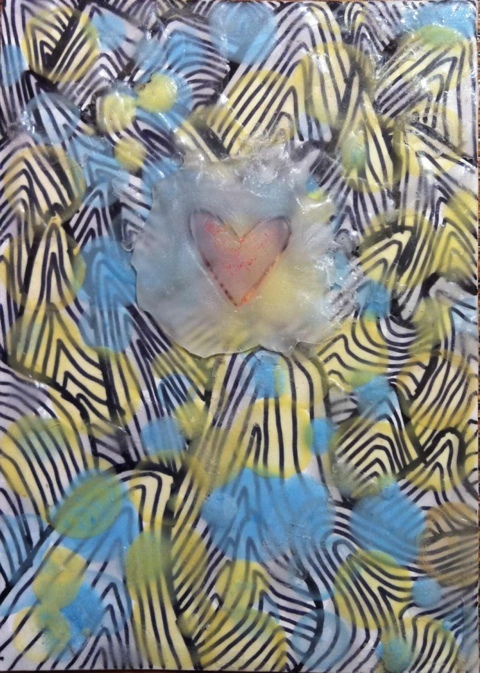 So my mixed media ATC actually has 4 aspects to its creation – ink, wax, stamping, and chalk. I’m very pleased with this one, and it’s helped me get out of my comfort zone of just making collage ATCs. Ok, so I’m a bit late posting this. Isaac’s birthday was 2 1/2 weeks ago! I made this the night before his birthday. Originally it was going to be a very quick and straightforward card, but as is so often the case it morphed itself into something more complicated. 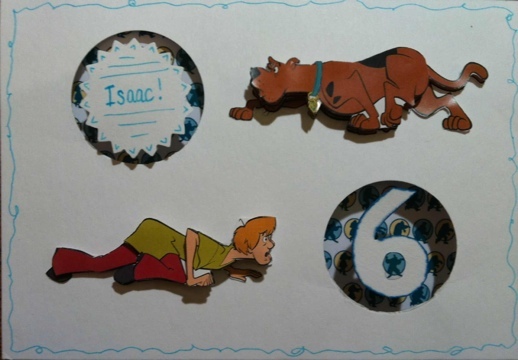 I knew I wanted to use my Scoooby-Doo 3-D decoupage, but wasn’t too sure what else to do. Once I’d cut out and constructed the decoupage I spent ages working out how to mount it onto the card. In the end, I used my new Martha Stewart Punch All Over the Page punch to cut out a couple of circles in the card front so I could mount the Scooby Doo backing paper behind. Then I cut out a number 6 (from the punched part of the circle, so I knew it would fit), and attached it to the back of the card with a concertina of paper, so it springs out. I then used decorative scissors to trim the other punched circle, wrote ‘Isaac’ on it, and did the same. 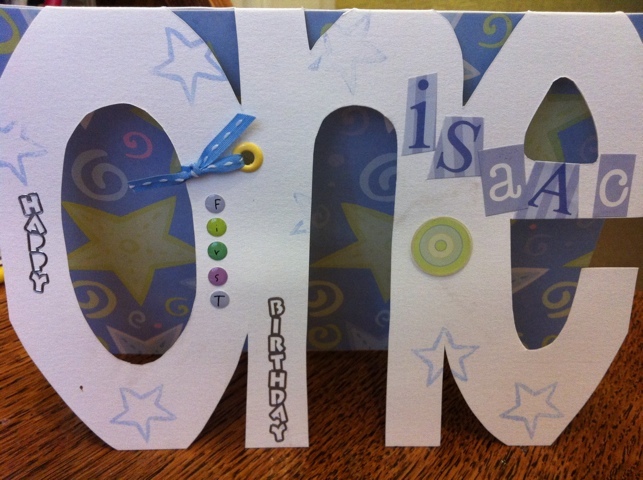 Isaac’s reaction to the card was great, and made all the work on it worthwhile – thankfully! I would have been gutted had he just glanced at it and moved on to the next one! I’ve just realised that I’ve not blogged for ages it seems. I have been managing a bit of time in the craft room this week, so I shall show you what I’ve been up to. I’ve made a few ATCs, and some cards too. I can’t show you all the cards – Father’s day is coming up and until they’ve been sent and opened I didn’t ought to spoil the surprise! But I can show you the rest of my goodies. Firstly, do you remeber that beautiful lacy scrapbook page I bought when I was on holiday? Well, it inspired me. But oddly enough, it didn’t inspire me to make a scrapbook page. No, instead, it inspired me to make an ATC. I wondered if it would be possible to make a lacy ATC, so I used the scrapbook page as a partial stencil, drew the rest free-hand, and cut it out with a craft knife. This was an experience in itself. Trying to cut through a layer of card *and* a layer of backing paper at the same time was hard work. In the end I only broke one craft knife blade, and that was because I was using the wrong shape (note to self – always read the instructions for what each blade should be used for). To add to the lacy theme, I tied some real lace (proper vintage too, donated by my mum) around it, added some adhesive pearls at the side, and highlighted the flower buds with green glitter glue. All in all, I’m pretty pleased with this. It looks very unusual but still really pretty. It’s my friend’s birthday on 14th June. She’s not a girly-girl and I didn’t want to make her a pink and sparkly card, so I raided my American purchases again. I re-discovered that lovely teal-blue and black swirly ribbon. I love that colour, and thought it would be perfect. My initial plan for this card was that it was going to have three stamped and heat embossed panels, with ribbon down the side. I made the panels, and started trying layouts on different sized and shaped cards. I could not find a pattern that I liked. 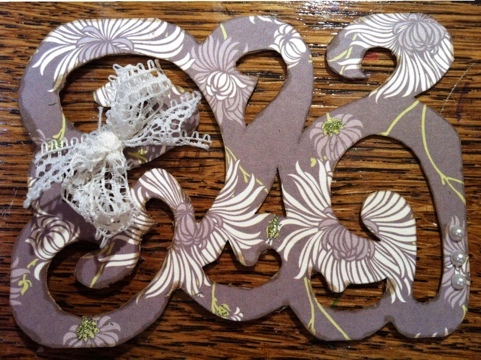 In the end, two of the panels were discarded and substituted for paper flowers that were a perfect colour match. The backing paper was some I’d received in a Swap-Bot swap, and I finished the flowers with a black adhesive gem at each centre. Finally a dab of teal blue glitter glue in the middle of all the swirls on the ribbon, and edged around the embossed ‘Happy Birthday’ image tied it all together. The finished card is not even close to being similar to the one that was in my head at the start of the process. As so often happens, the products I have on my craft shelf call to me, and take on a life of their own. I seem only to be the person holding the glue! Because of the change of plan halfway through the design, I ended up having a little bit of extra ribbon left over (I had cut off enough to use on a 8×6″ card, but ended up using a 6×4″ one). 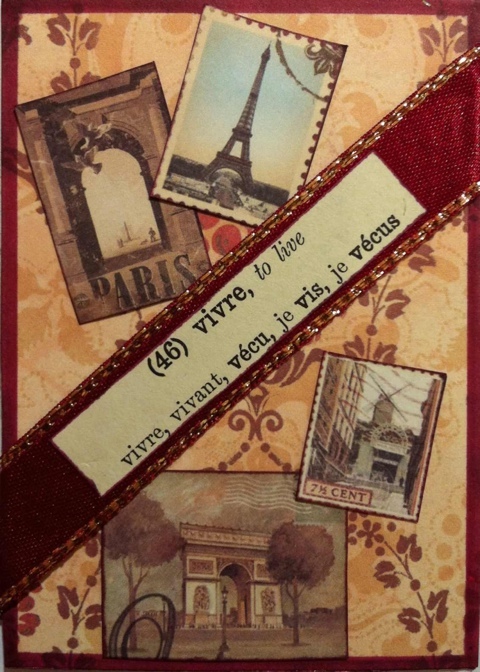 Never one to throw *anything* away, I came up with the following ATC, along the same theme as the card. 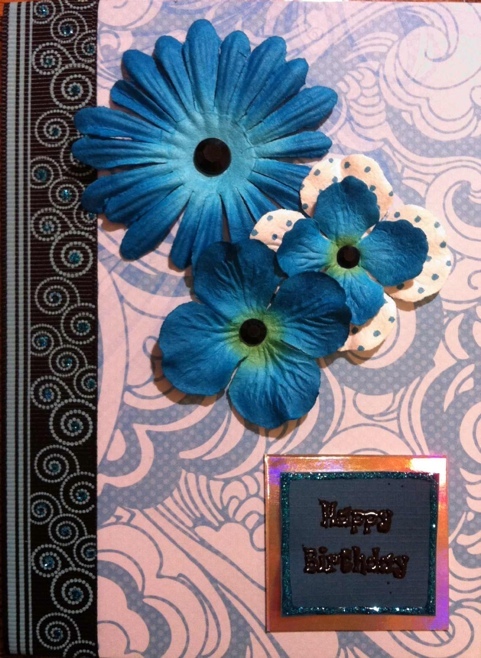 Different backing paper this time, but more paper flowers, black gems and glitter glue. The only major difference is that I used a rub-on word rather than a stamped and heat embossed one. It took less than 5 minutes to create this ATC, but I feel it’s very effective in it’s simplicity. However, I’m not 100% happy with it because the ribbon is a bit wonky. Ah well, always room for improvement! Please do let me know what you think of the ATCs, especially the lacy one. I love to hear your views! I is for imagination and inspiration. Sometimes, no matter how many crafty goodies you own, your inspiration runs dry and you’re not happy with anything you produce. It’s for times like these that I have created my Inspiration Book. It’s not particularly beautiful, but it contains loads of pictures of inspirational cards, scrapbooking layouts and tips cut out of the many magazines I have accumulated over the years. The book was originally created in order to get rid of all the magazines that were clogging up my craft room. I go through each, cutting out useful stuff, and binning the rest. The result is a little treasure trove of ideas that I can fall back on when I need to. 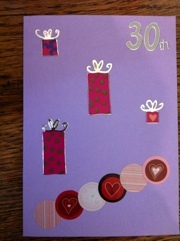 I do find though that a little imagination can create wonderful cards. Here’s a couple I made for my son when he was about 2. I was tremendously pleased with the Noddy card – the Noddy figure (and Bumpy Dog) were cut from an Easter Egg box I think, or something similar. 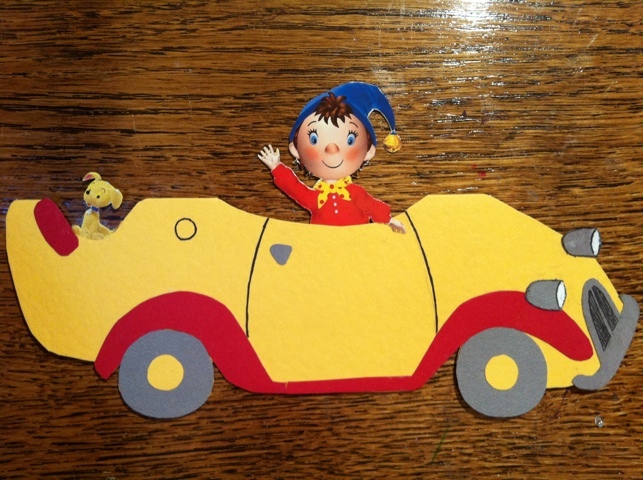 I made the card by examining one of my sons Noddy books in detail to get the shape of the car right. I am not an artist by any stretch of the imagination (by that I mean that I cannot draw in the slightest), but eventually I managed to sketch a car shape I was happy with. I transferred this onto folded yellow card, and cut out trims from grey and red card. To be honest, I was far more excited by the finished article than my son was, but hey ho, he was 2, what did I expect?! The bizarre orange creature, for those that don’t know, is Razzledazzle, a CBeebies character from a few years back. I have no idea if he’s still about, but my son *loved* him at the time. Again, I spent a long time sketching the shape of the character out to my satisfaction, then used the sketch as a template to cut out some orange Funky Foam, plus some black & white for the eyes. It was nice and tactile for my then 18 month old son, and he recognised Razzledazzle straight away (phew!). As I have mentioned before, I do keep any handmade cards that come into our home. My sister-in-law has a very special talent, and I am very lucky to have someone so inspirational giving me cards so often! Here is an amazing card that she made for my son’s first birthday. Quite a simple concept, but one I have ‘borrowed’ occasionally to make cards for other ages. 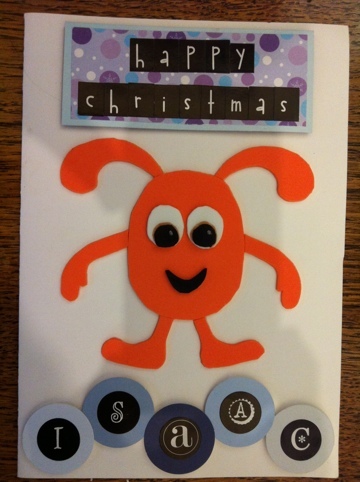 You don’t have to be a craft genius to create lovely cards though- it’s amazing what a little thought can achieve. My husband, who claims to have no craft talent whatsoever, made this card for me, and I love it. I will add that sensibly, he did ask permission to use my craft stash before starting work on it!